Provence offers exuberant fields of poppies, lavender and sunflowers, vineyards with mountainous backdrops and hairpin bends that reveal breathtaking views. From the seaside glamour of Cannes to hushed hamlets dotted with olive trees, Provence boasts some of France’s most unforgettable landscapes. The administrative region of Provence-Alpes-Côte d’Azur encompasses the départements of Alpes de HauteProvence, Haute-Alpes, Alpes-Maritime, Bouches-duRhône, Var and Vaucluse. 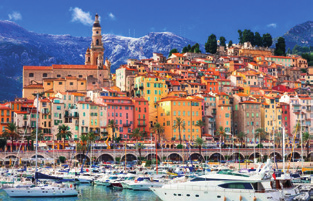 However, for the purposes of this guide, we will focus on central and western Provence – starting from the Vaucluse and the foothills of the Alps and descending towards the coast. The population of Provence-Alpes-Côte d’Azur as a whole is around 4.9 million – a figure that rises dramatically during the holiday season. The main urban centres are Aix-en-Provence, Avignon, Digne, Gap, Gordes, Nice, Marseille, Saint-Rémy-deProvence and Toulon. Central Provence features high plateaux and a hinterland of steep, forested hills covered in pines, eucalyptus and wild herbs, while to the west, the marshlands of the Camargue are famous for their wildlife. 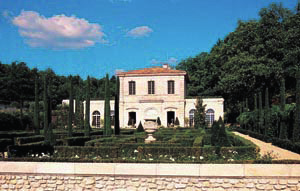 The regional parks of Alpilles and the Luberon – with their lavender and vine-covered lower slopes – are well established country retreats for Europeans and Americans, thanks in part to Peter Mayle’s best-selling tales of life here, and it is the location of many upmarket holiday homes. The region is known for its bounty of natural produce olives, herbs, truffles, mushrooms, plus its wines are increasing in popularity. You’ll be spoilt for choice at the farmers’ markets – the regional cheeses, pâtés, fresh fruit and vegetables are especially good. It’s also a great area for seafood, particularly the rich fish stew bouillabaisse. Generally, Provençal dishes have a Mediterranean feel based on olive oil, garlic and fresh produce, such as tapenade spread or the pissalidière (pizza-style tart). As the countless vineyards suggest, this is a wine region, famously home to Châteauneuf-du-Pape, but locals adore Pastis, the aniseed flavour liqueur diluted in a tall glass for aperitifs. Nabbing a cosy pied-à-terre along Provence’s picture-perfect coastline or nestled amid the sun-drenched garrigue [Mediterranean vegetation], does not come cheap. Property in this coveted region is far more expensive than in other parts of rural France, and real bargains are few and far between. Of course renovating a ramshackle pile is always an option but can prove to be false economy. Even a charming villa seemingly just in need of some TLC will more often than not require a complete (and costly) refurbishment. Anyone taking on such a project should have the necessary funds, vision and energy to pull it off. Houses tend to be slightly cheaper heading north from the coast, and the A8 motorway running east to west marks the boundaries of this divide. Inland Var boasts the most spectacular – and unspoilt – little nooks, with rolling hills, valleys, pine forests, lakes, waterfalls, vineyards and olive groves as far as the eye can see. It is a great hunting ground for those wishing to spend a little less. However, if you are looking for a year-round home, it is a good idea to check the area in the low season to make sure it is not virtually abandoned in winter. Another patch worth a pit stop is the equally beautiful Drôme Provençale, to the north of the Vaucluse. While, strictly speaking, not part of Provence proper, it is replete with typically Provençal character and fragrant lavender fields. The Luberon with its compact mountains and lush countryside – whose colourful hues and striking lines inspired Cézanne and Van Gogh – commands a premium. But head just a few miles from the centre to its northernmost reaches or the eastern border, and you will find yourself in far more affordable territory. Places such as Pertuis, Mirabeau or, to the north, Saint-Saturnin-les-Apt, offer the Provençal lifestyle and atmosphere with a somewhat more reasonable price tag. Location, it goes without saying, is key. But the type of property you set your sights on could make all the difference too. 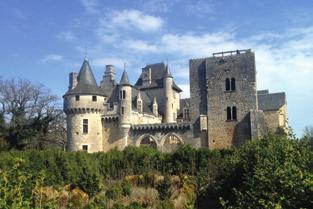 Historically built by nobles as holiday homes, traditional bastides, for instance, sit in the upper price band at a steep €900,000 (£770,000) minimum. Some buyers may lean towards a rustic mas – the much-admired stone house emblematic of sunny Provence. A mas makes not only a stunning holiday home, or full-time abode depending on your plans, but is a breeze to let out, should you be so inclined – so high is the demand for holiday lets in these parts. Depending on location and the size of the building and surrounding land, a mas can go on the market for anything between €600,000 (£510,000) to €1.5m (£1.3m). 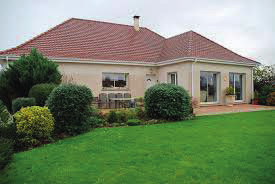 Villas are increasingly popular and can be a relatively cheaper option. Although many fetch millions, you can find three-bedroom villas with a pool for as little as €350,000 (£300,000), just a short drive from the sea in the likes of Lorgues or Flayosc. A pool may seem unnecessary for a house within driving distance of a beach, but it might not be such a luxury – especially if there are only a couple of routes to the coast from the property – and you should factor in the likelihood of getting stuck in traffic as everyone heads to the beach in high summer. Having a pool would allow you to enjoy the balmy summer months and avoid les embouteillages (traffic jams). 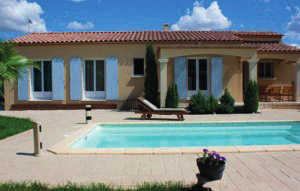 If a pool is out of the question, some townhouses offer an attractive price point at just €150,000 (£130,000) in rural areas; though this will quickly rise in the Alpilles or Luberon. 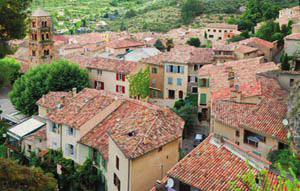 WHAT ARE THE MAIN PROPERTY TYPES IN PROVENCE? stone-built house with land, originally built for aristocrats. 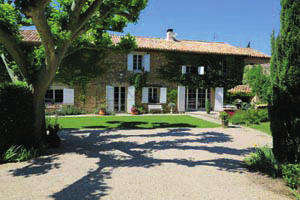 farmhouse or mill, particularly found in Luberon or the Camargue. modern property, often with a swimming pool. townhouse fronting a street, often with a courtyard rather than a garden. detached (usually bungalow style) property. apartments are usually in a city, coastal town or golfcourse complex. Average temperatures range from 12°C (54°F) in February to 28.2°C (83°F) in August, but this is a very large region with a lot of variation. The Bouches-du-Rhône is one of the driest areas in France, the Mistral wind blows down the Rhone Valley, yet the Provence Alps can get 300 days of sunshine a year. Snow isn’t common, but temperatures can reach freezing point, particularly around Avignon. 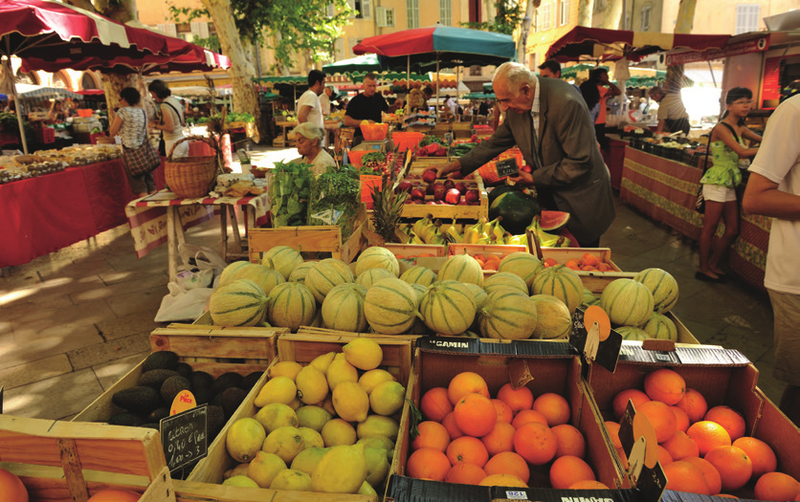 and, if you don’t mind stopping off in Paris, the TGV line will take you to Aix-en-Provence in less than three hours. universities or popular suburbs for commuting. In rural areas, a carefully chosen property in picturesque Provence can yield a steady flow of income – as long as it’s well maintained and well managed. Do be wary about land: it requires a lot of maintenance and if you haven’t the time to spend on it and don’t want to pay someone else to do so, don’t take it on! Is Provence the place for you? Browse our property pages or give our team a call on +44 (0)1225 463752. This could be the first step to your new life in the region!